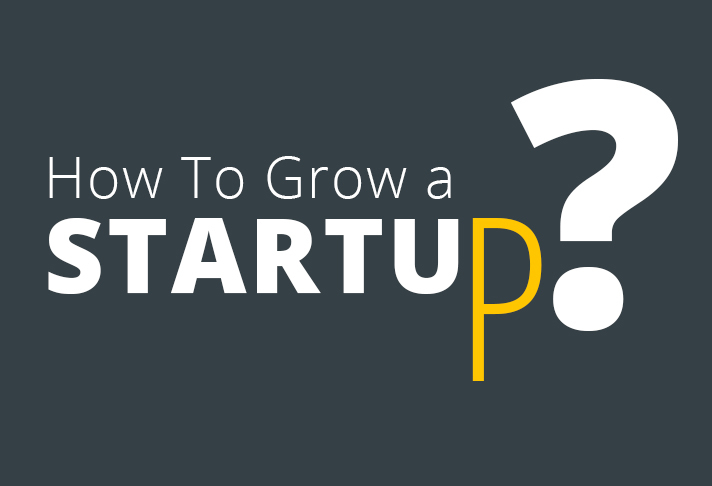 How To Grow A Startup? After the recent recession in major parts of the world, there has been a tremendous rise in the startup companies. There has been a resurgence of entrepreneurial spirit among people with an unprecedented number of startups. With continuing economic challenges, startups are the key for entrepreneurs to actually change their behaviors in business, communities, and societies. Startups have given a new definition to the word “work” and now it is something you love to do. But growing a startup is not rosy all the time; it can make you learn many hard and painful lessons on the way. If you are considering becoming a startup owner or are currently running one of the startup, then you must follow these seven principles of startup marketing. Before you read on, let me tell you. I applied each and every point on BeingGuru blog when I started and yes that is how you scale it up. Growing a startup can sometimes become a hampered process. It happens when people sign up for your product but do not actually use it. In order to increase growth you will have to work for yourself. Startup product is your own and its marketing responsibility falls on your shoulders. You must look at the product development and ensure that it attracts greater number of customers. You must take all possible measures to make sure that the quality of your product is good enough to make users sign up as well as benefit from the product. Growing a startup is sometimes a mental battle of uncertainty. You doubt yourself, your product, and the team. You remain in a flux of understanding the uncertainty that prevails with your startup. You just need to keep yourself focused at that time. You can reduce this uncertainty by looking at the feedback of your customers. Some of those suggestions will give you an idea about where you stand and will also be helpful in giving you a future direction. Prioritize your customer’s insights for designing and developing your product and be aware of the issues that are causing your customers to leave. Spending a lot on social media campaigning will not be of much use in the early period. The best way is to focus on testing new things and development strategies that can actually make a difference. Do not follow rules of large companies, as a startup you should be spending 80% of your time and effort on trying out new things and only 20% on execution. For your startup, experimentation is the key for staying ahead of other competitors. Keep a track of the latest digital channels. Always stay in search of something new and different. Generate insights from all sources to help you with acquisition activities. Your marketing should not be limited just online, in order to lead the front row you will have to advertise offline as well. For running a startup, you need to perform swiftly. You cannot depend on other people to make your company work; you need to dive in yourself. A good startup strategy requires you to be a mix of everything which means you need to be good at everything. You are supposed to get the job done no matter you have to do it yourself. Be prepared to handle all kinds of task so that you don’t have to depend on anyone else for your work. As a startup owner, you must keep long-term goals in mind which involve experimentation. You cannot run after perfection while making plans for your business if you want to make a difference. Your experiment results can be different and you should be bold enough to accept those differences to make bigger impacts. Startup span is short and you are supposed to gain insight, create an MVP to test, and implement it. Startup mantra requires you to “move quickly and break things”. When you own a startup, you have to make decisions on our own. There won’t be any managers telling you what to do next nor you world trust any of their suggestion because it’s your own business. You run a startup as a lone wolf so learn some tactics to proceed in the business world. You can become an expert by reading the strategies and tactics that professionals have given after their lifelong experiences. And you can achieve a good understanding of startup industry if you just set aside at least thirty minutes of your daily life for reading.